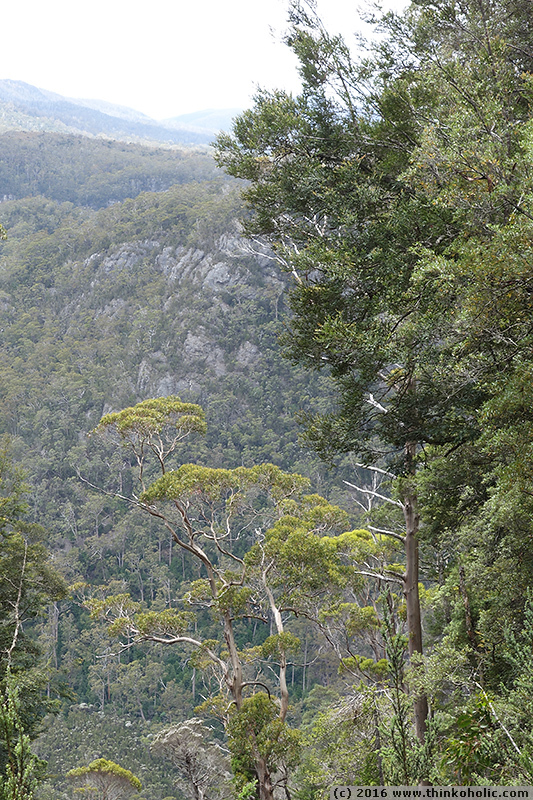 during two recent trips to tasmania, i had the opportunity to discover the beauty of the island and its amazing wildlife. 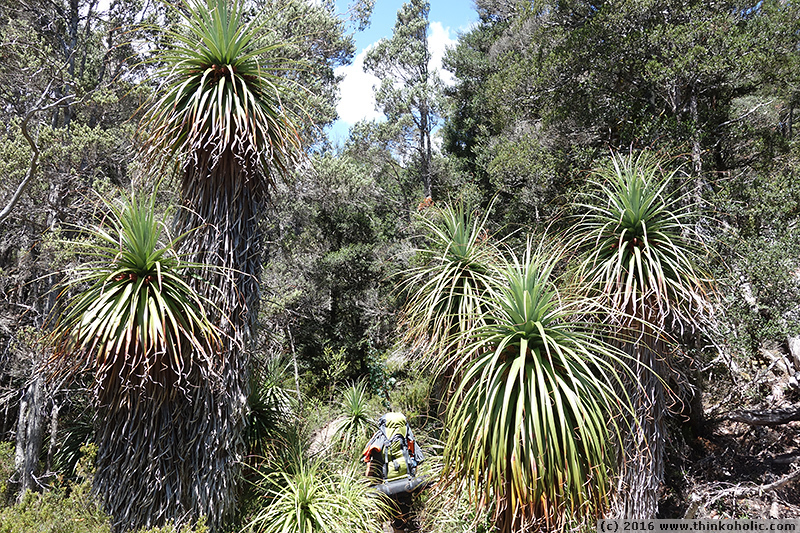 while the australian and tasmanian fauna generally receives much attention, the plant life here is not less extraordinary. 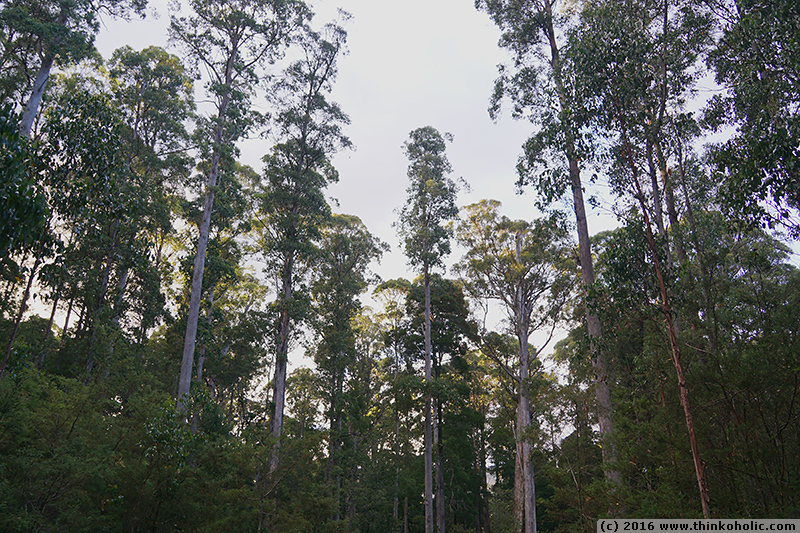 with this post, i’m using the opportunity to briefly introduce some trees and other woody plant species i encountered on the island. 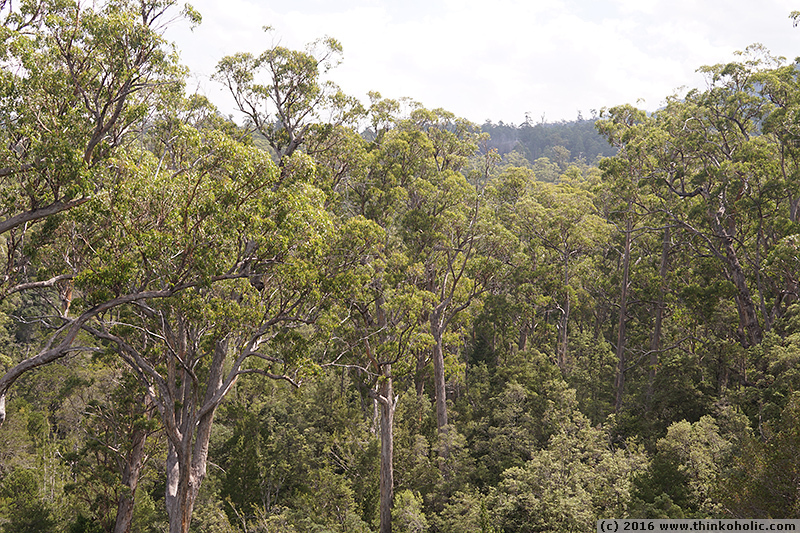 while some of these species also occur in a wider range in australia, some others represent the species’ last/only occurrence in the world, and a few of them date back to the supercontinent gondwana and a time before even the age of dinosaurs. 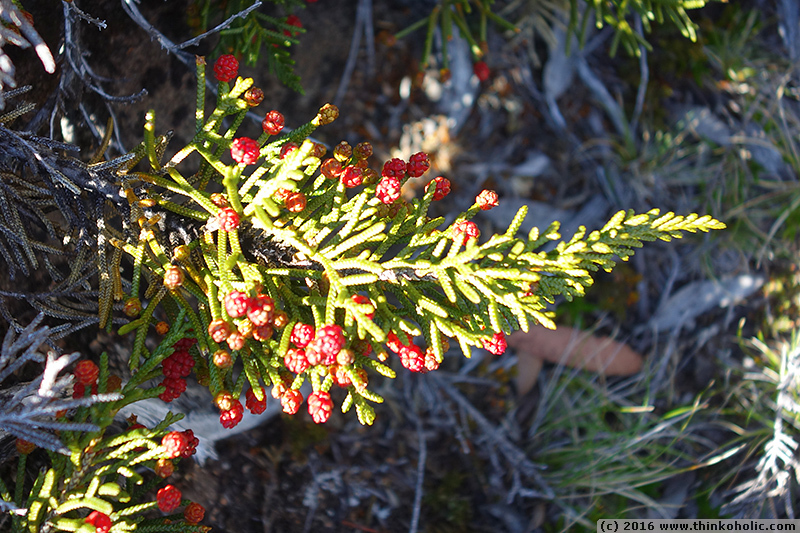 tragically, most of these old species are very vulnerable to bushfires, and a large area was struck by widespread bushfires in january 2016.
celerytop pine (phyllocladus aspleniifolius) is a conifer tree endemic to tasmania (i.e. 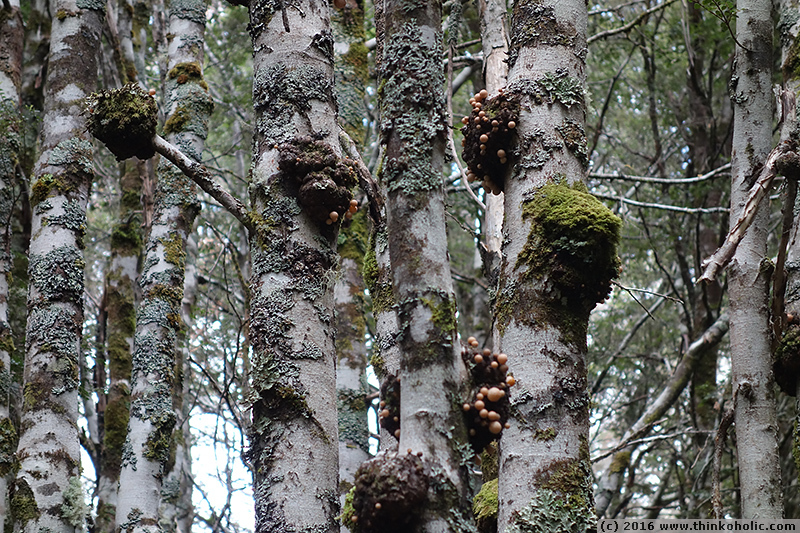 it occurs nowhere else on earth). 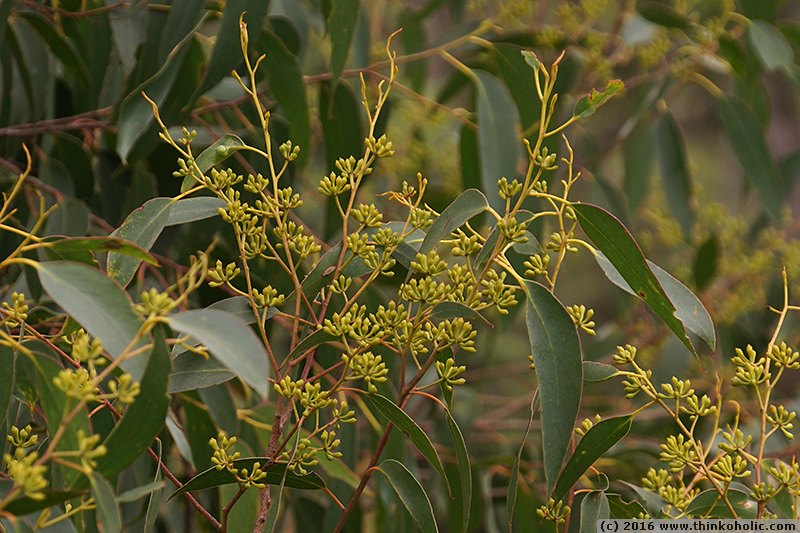 its “leaves” are actually flattened, modified stems, the phylloclades, which explains why it sometimes looks like new leaves are growing out of the tip of older ones. 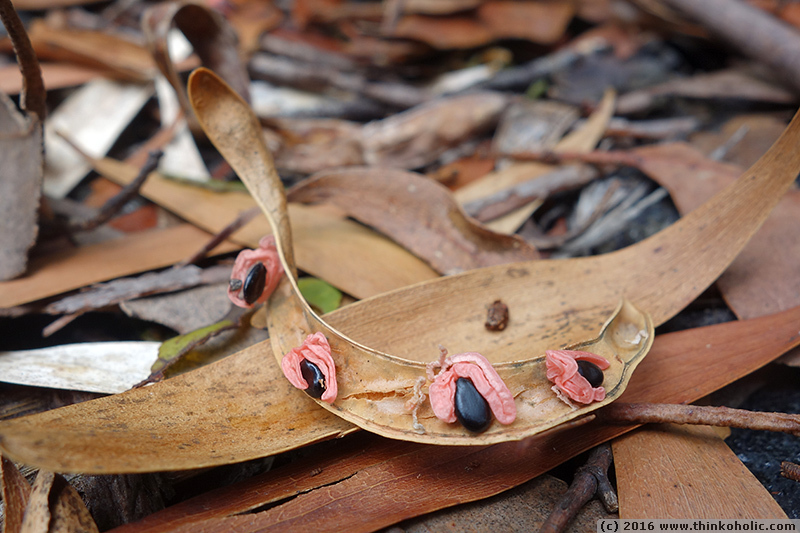 as you can see in one of the pictures, seedlings first grow some needle cotyledons, before switching over to phylloclades. 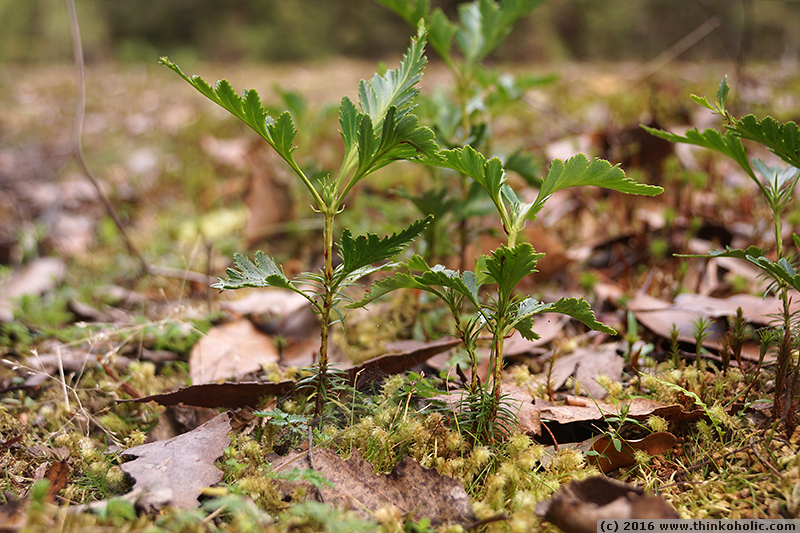 celery-top pine (phyllocladus aspleniifolius) seedlings show typical coniferous needle cotyledons before switching over to phylloclades. 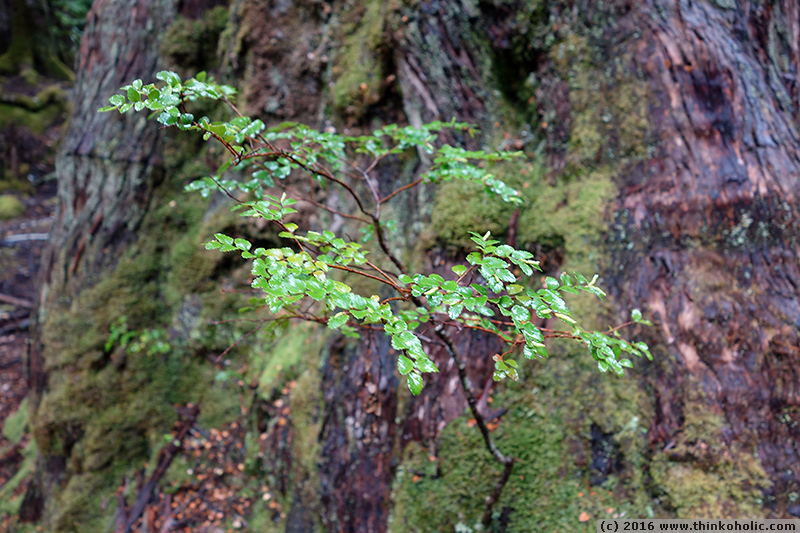 myrtle beech (nothofagus cunninghamii) tiller, growing at the base of an adult tree. 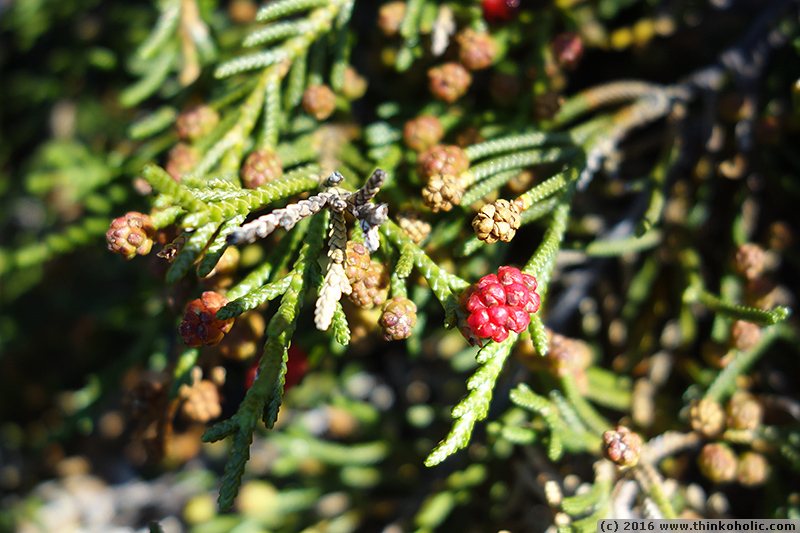 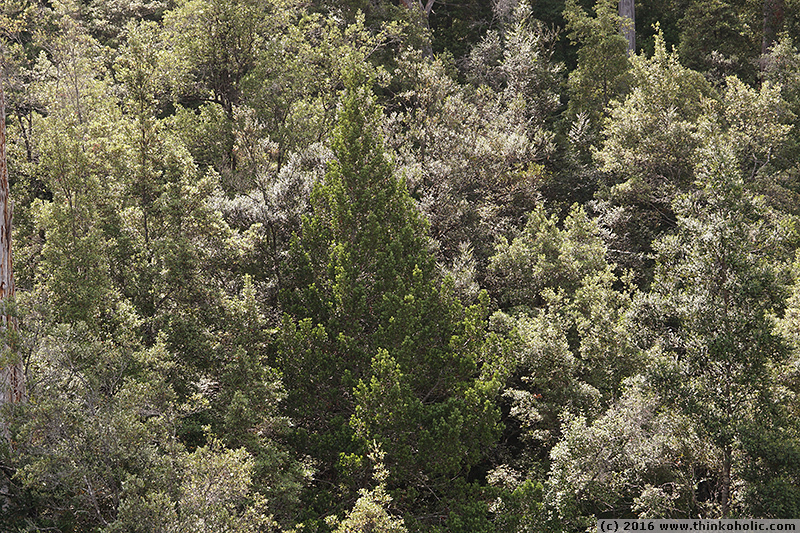 pencil pine (athrotaxis cupressoides) is another endemic conifer of tasmania, which grows in the subalpine zone and is classified as a threatened species. 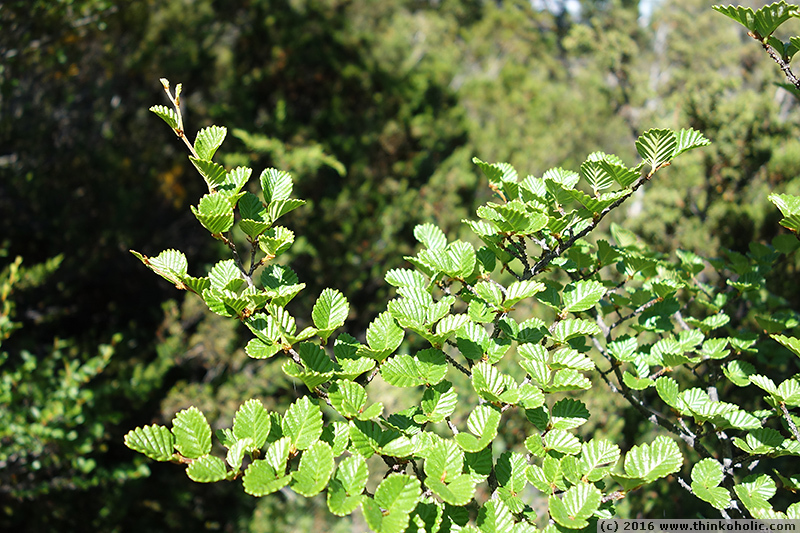 myrtle beech (nothofagus cunninghamii) is neither a myrtle nor a beech. 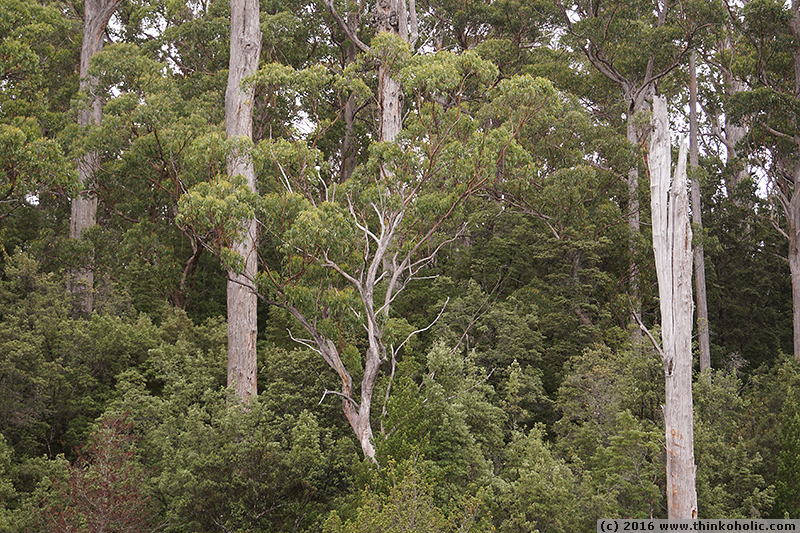 it occurs naturally in temperate rainforests and mountainous areas in tasmania and victoria. 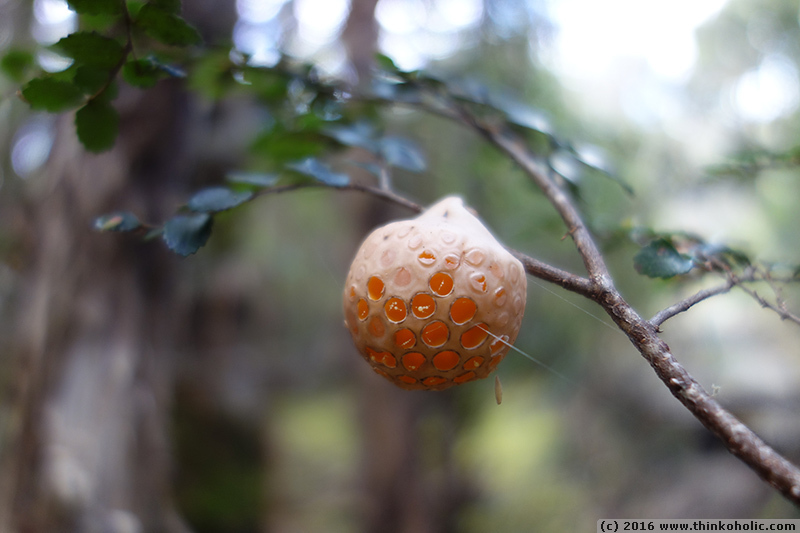 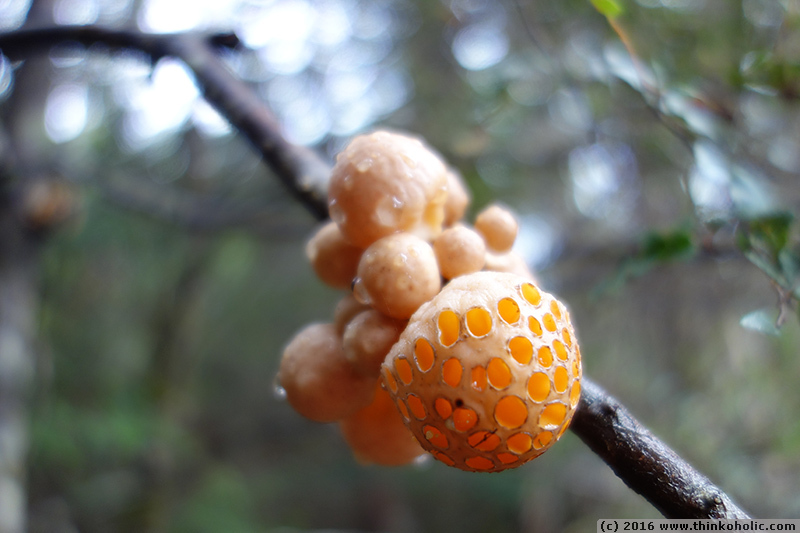 it is often infected with a parasitic fungi called “myrtle orange” (cyttaria gunnii), which produces rather aesthetic orange fruiting bodies. 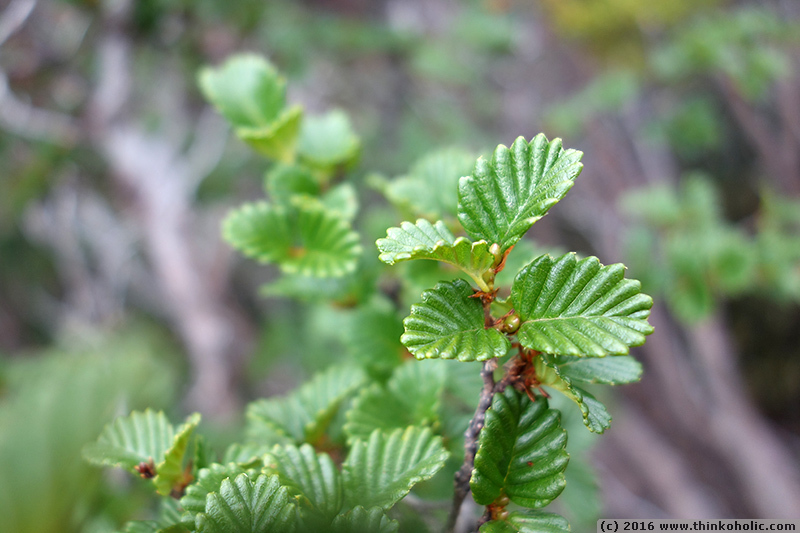 deciduous beech (fuscospora gunnii, formerly nothofagus gunnii) is australia’s only winter deciduous tree species and is endemic to the tasmanian highlands. 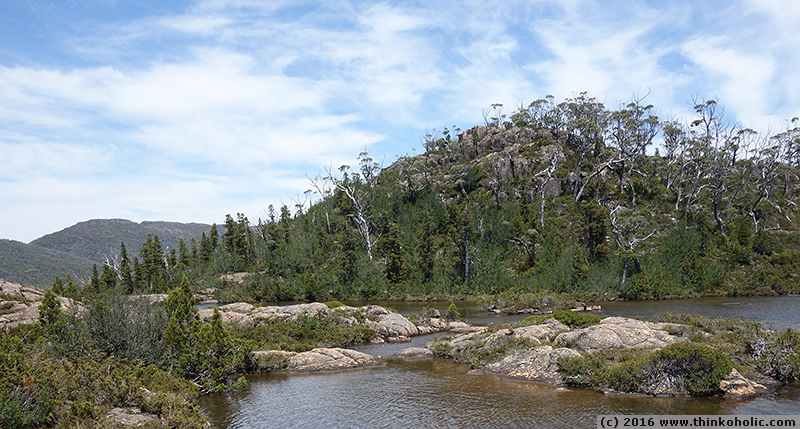 fossils of this species have been found in tasmania and antarctica. 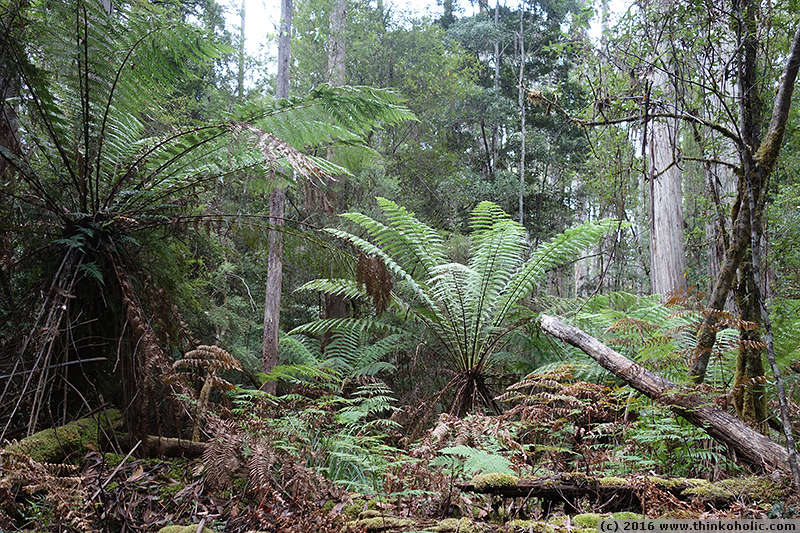 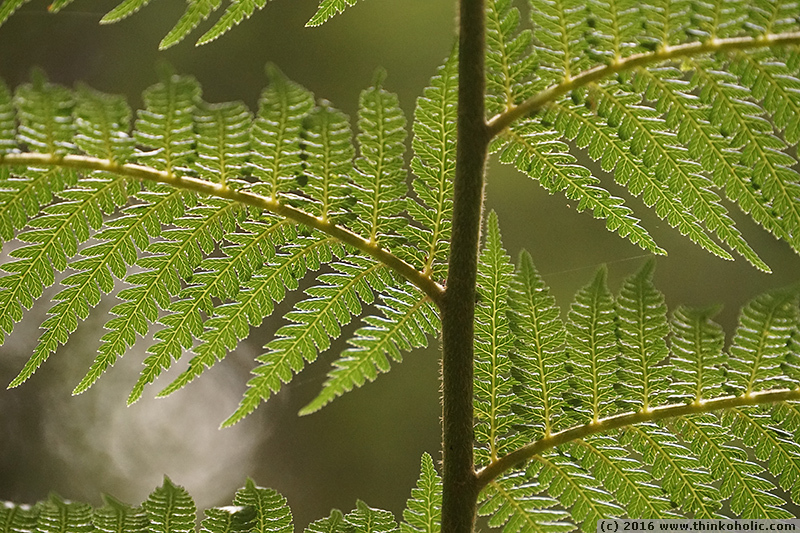 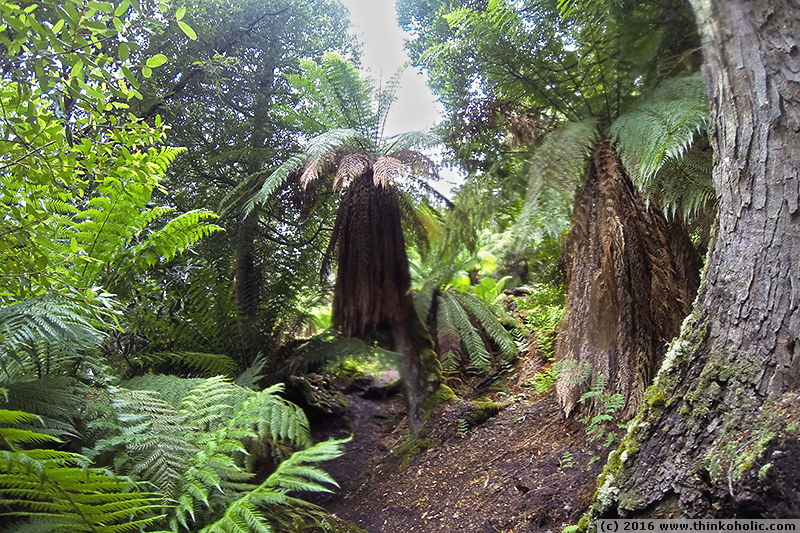 the soft tree fern (dicksonia antarctica) is native to eastern australia and can grow up to 15 m tall. 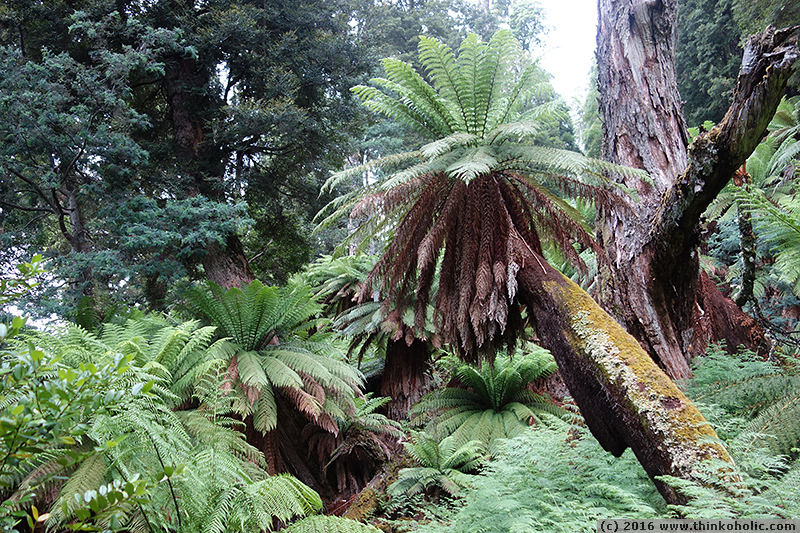 the genus dicksonia dates back to at least the jurassic and cretaceous periods, meaning that the dinosaurs roamed forests that loooked very similar. 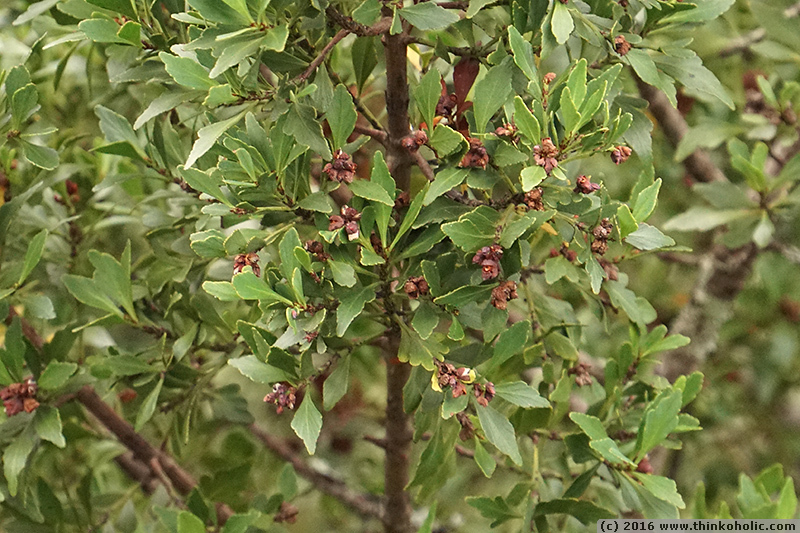 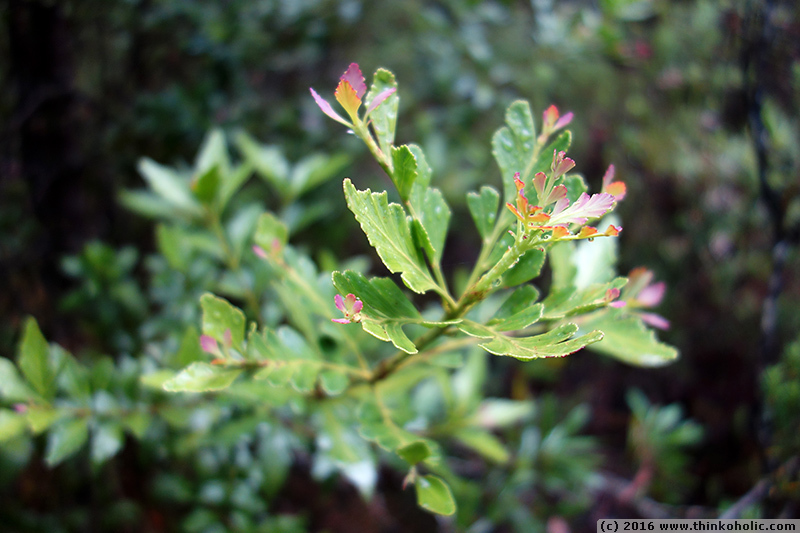 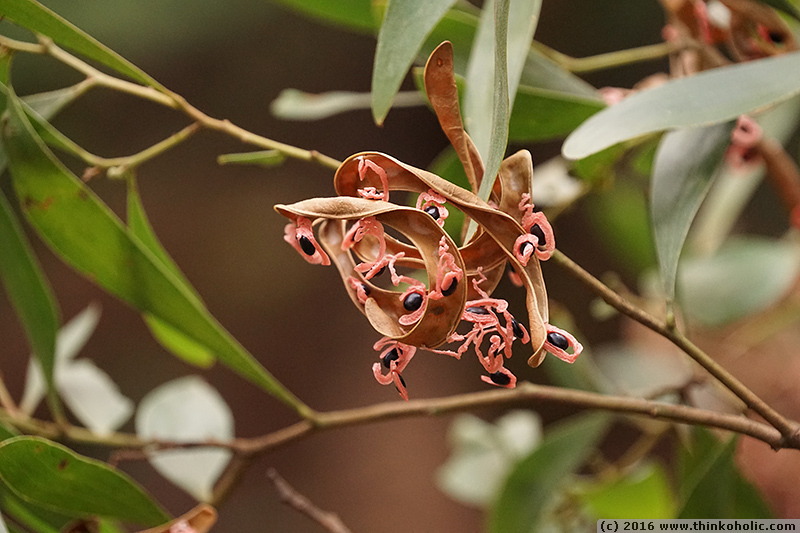 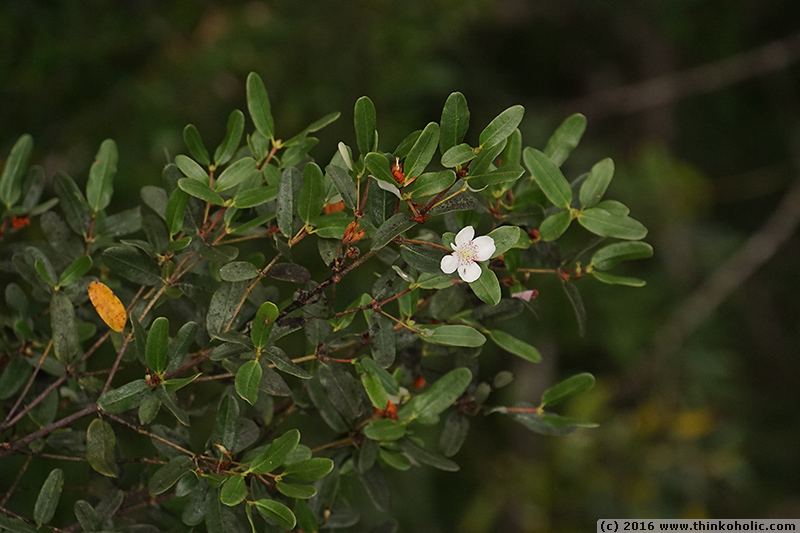 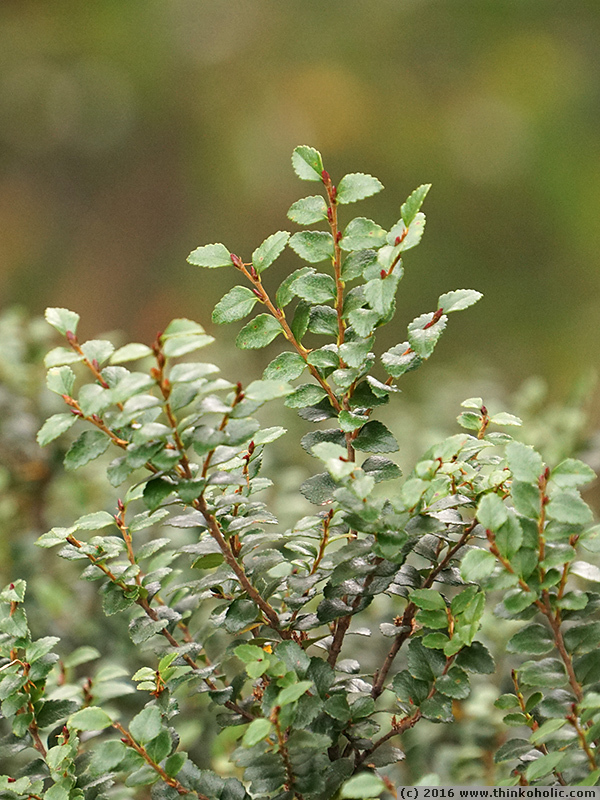 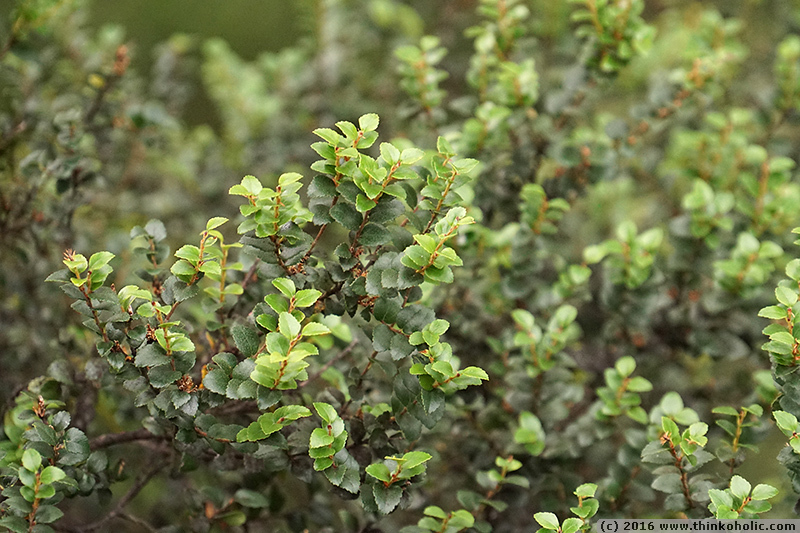 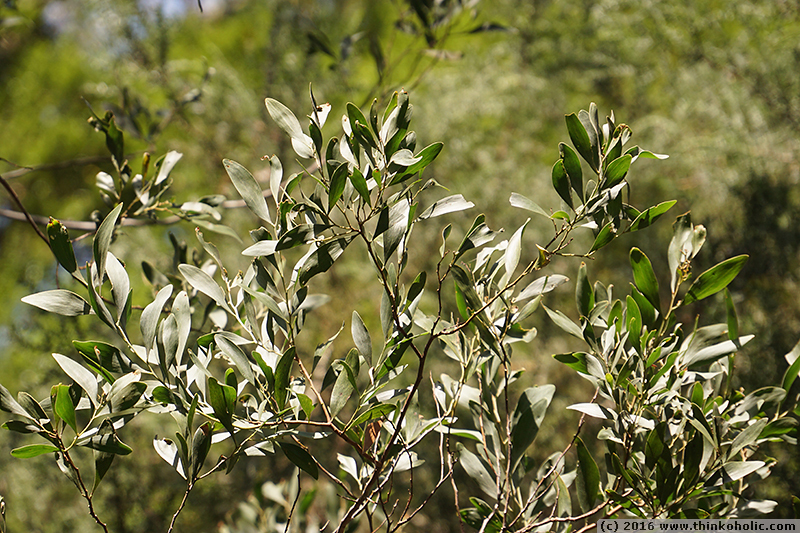 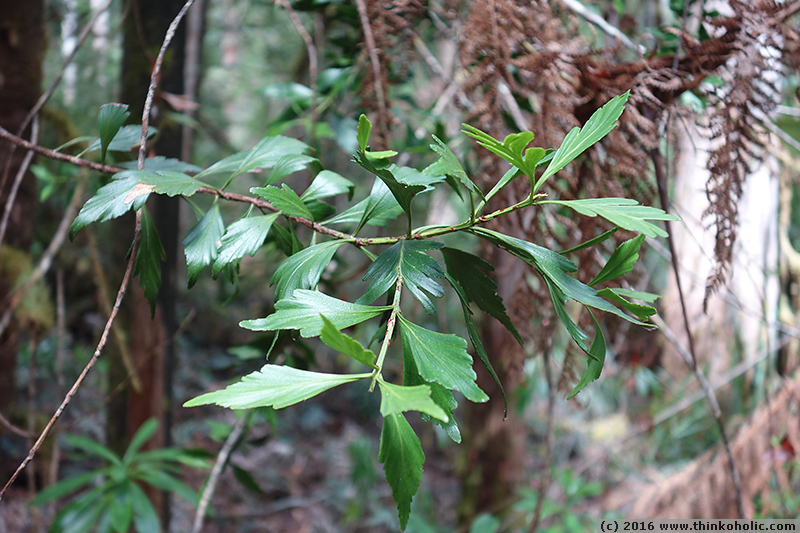 southern sassafrass (atherospermum moschatum) occurs in high altitude rainforests of tasmania and southeast australia. 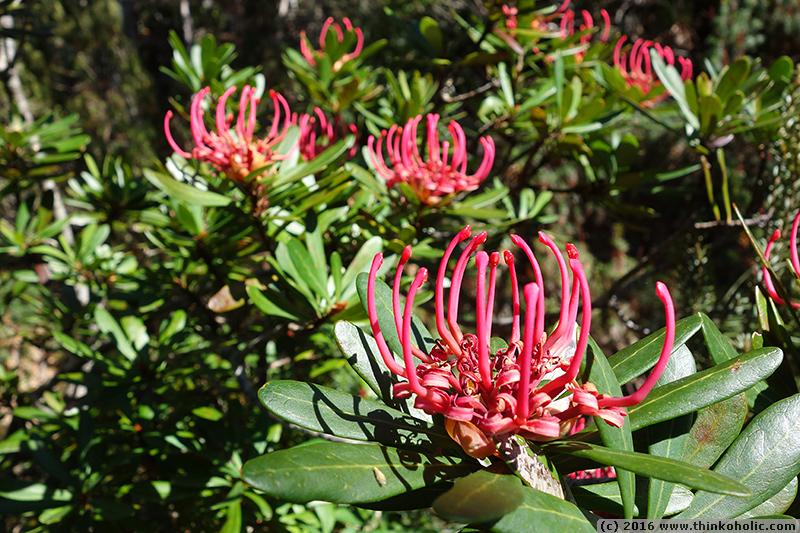 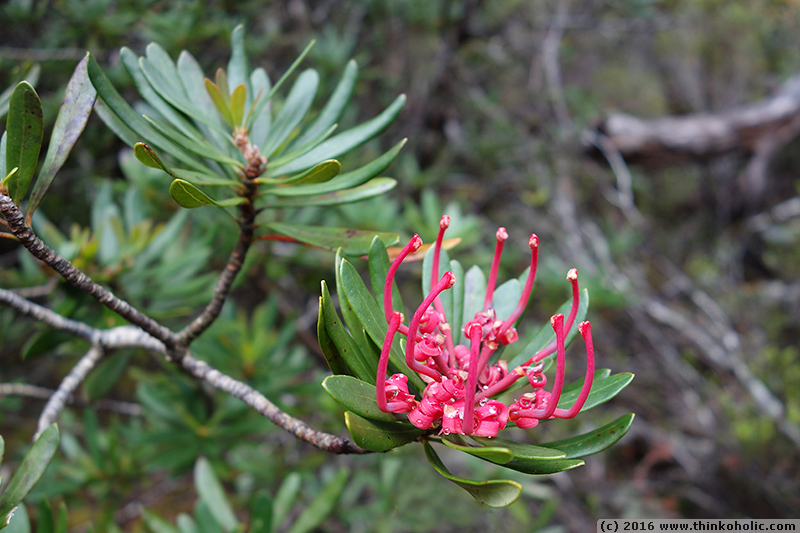 the tasmanian waratah (telopea truncata) is the endemic, tasmanian little sister of the new south wales waratah (telopea speciosissima). 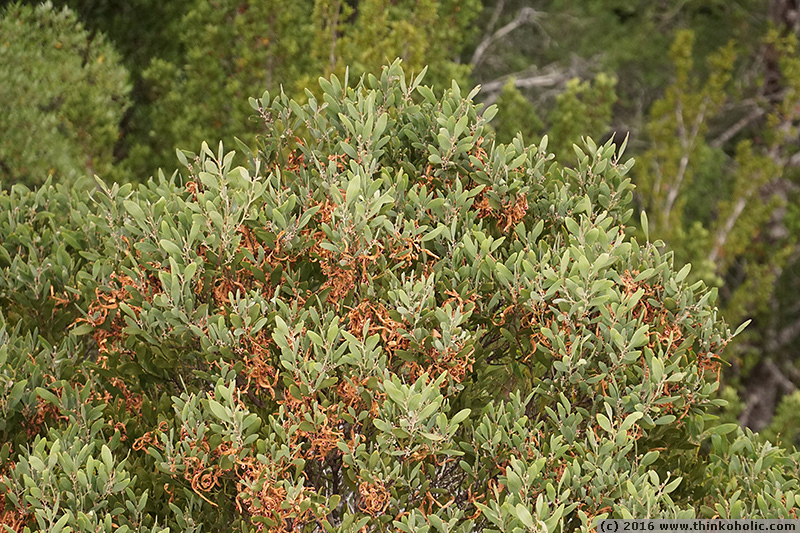 it grows in wet sclerophyll forests and subalpine scrub at 600-1200 m altitude. 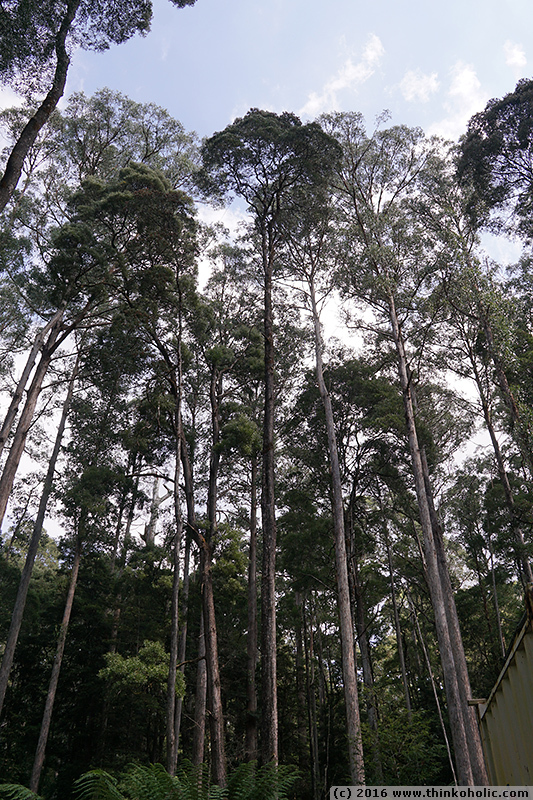 stringybark (eucalyptus obliqua; also australian oak) was the first ever species of eucalyptus discovered and described, according to wikipedia. 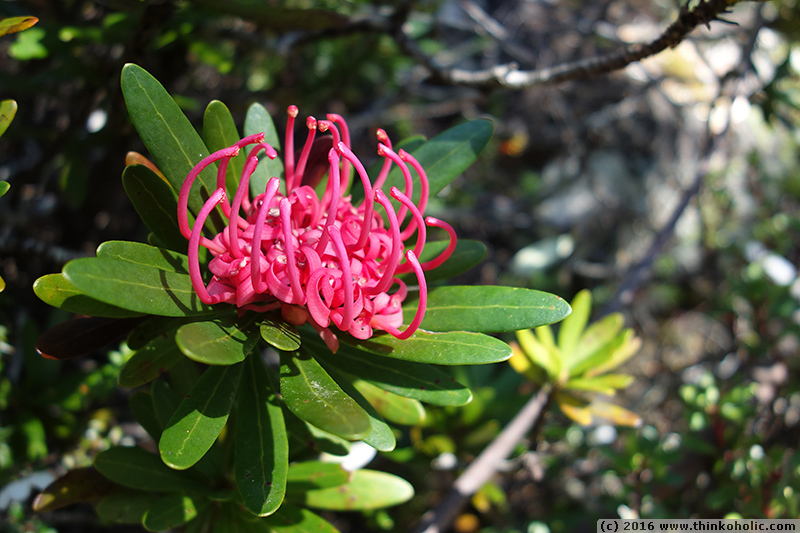 the species distribution covers not only tasmania, but southeastern australia. 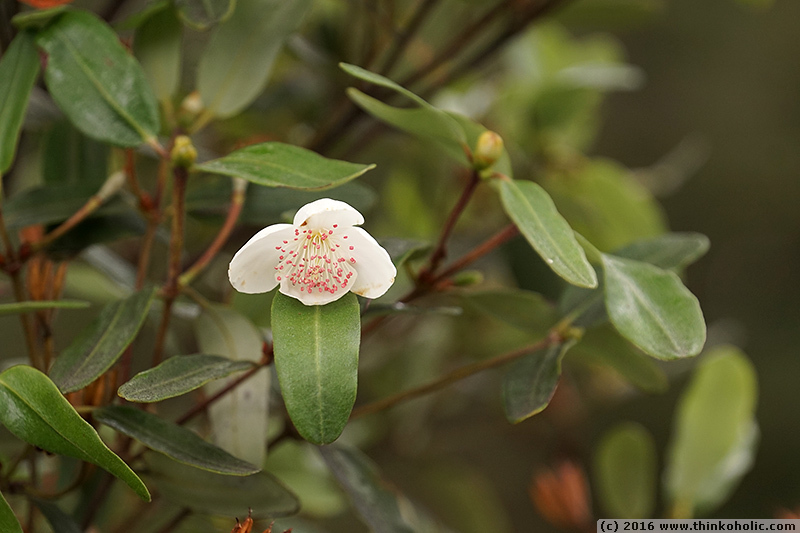 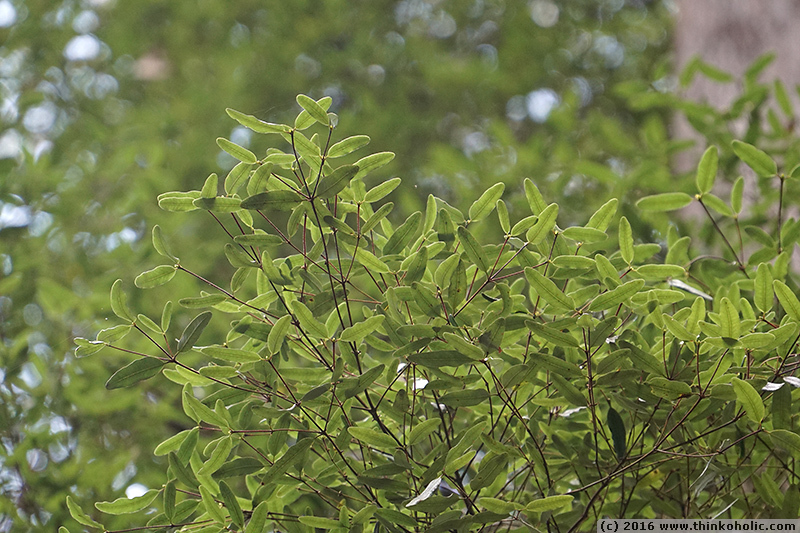 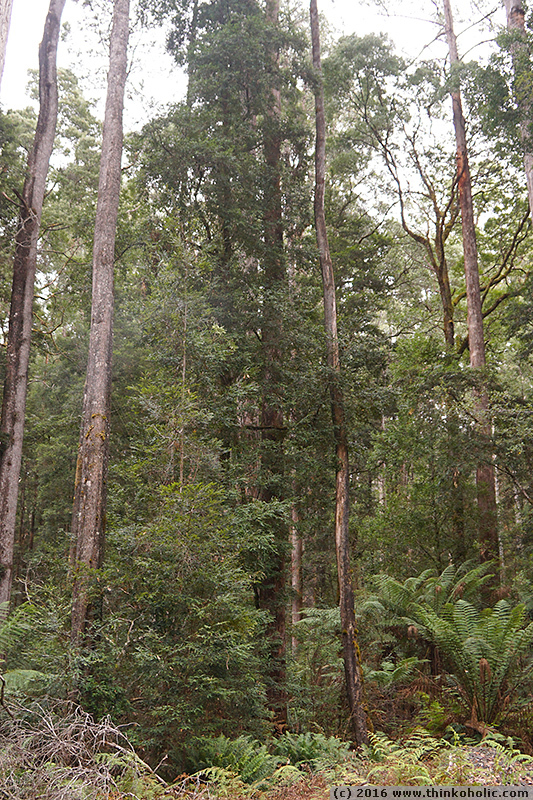 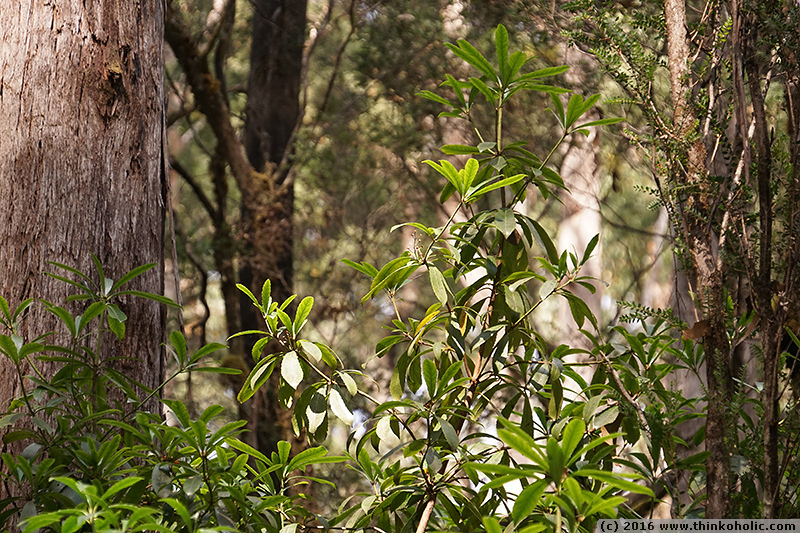 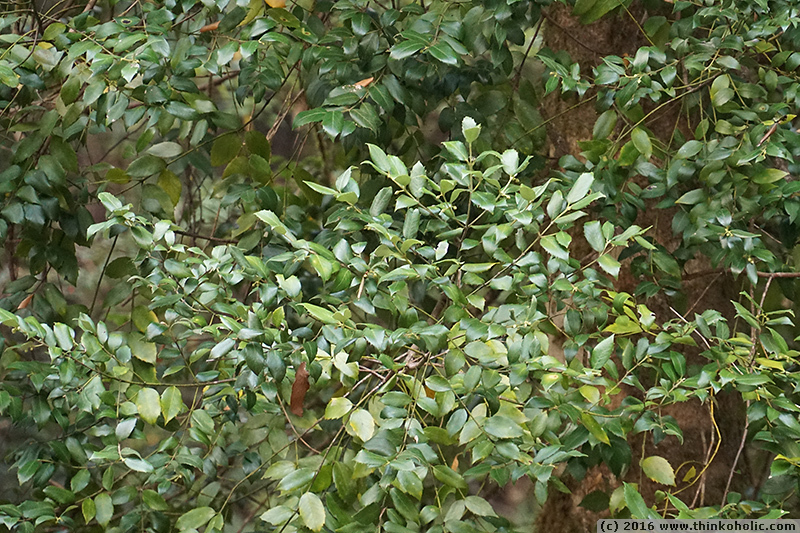 leatherwood (eucryphia lucida) is endemic to forests of western tasmania. 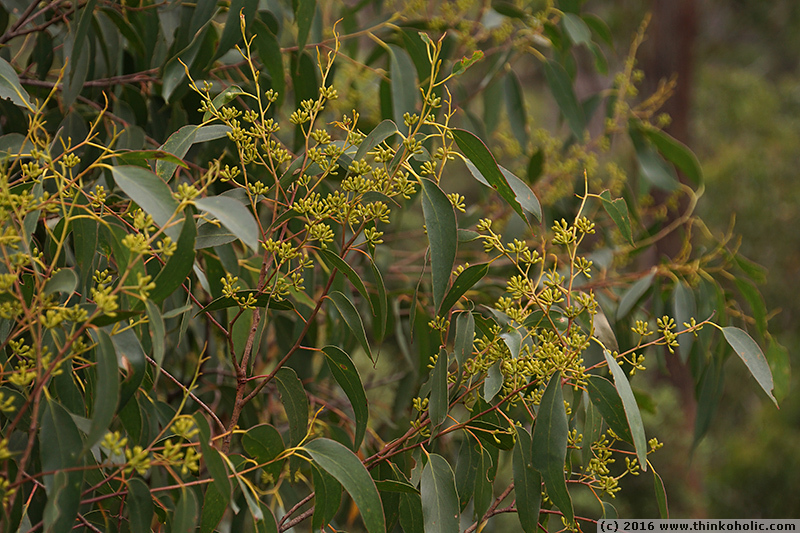 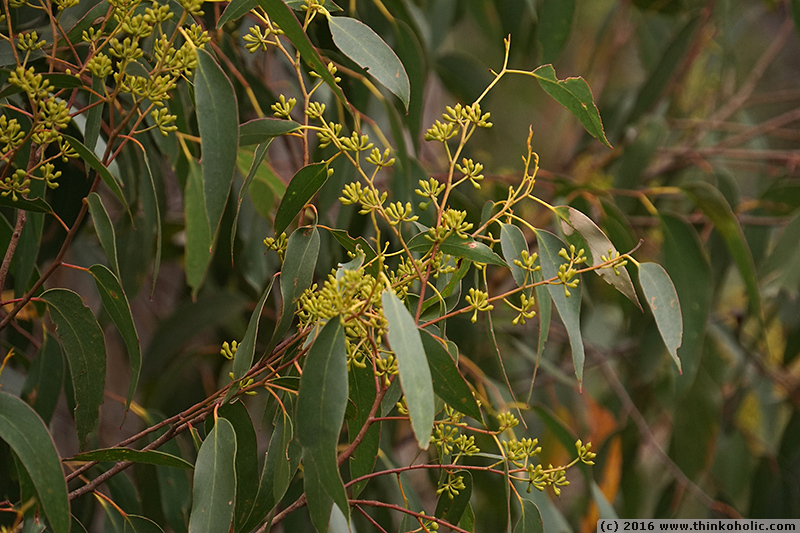 tasmanian/australian blackwood (acacia melanoxylon) is a widespread tree species native to tasmania and eastern australia. 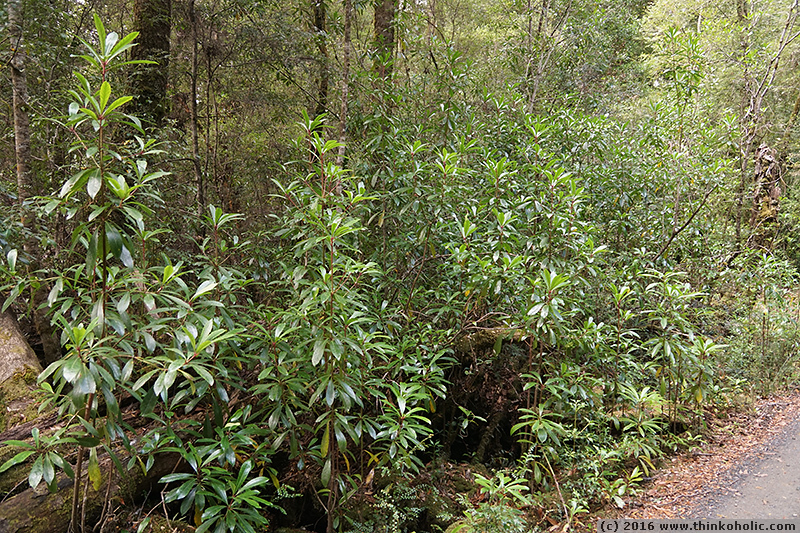 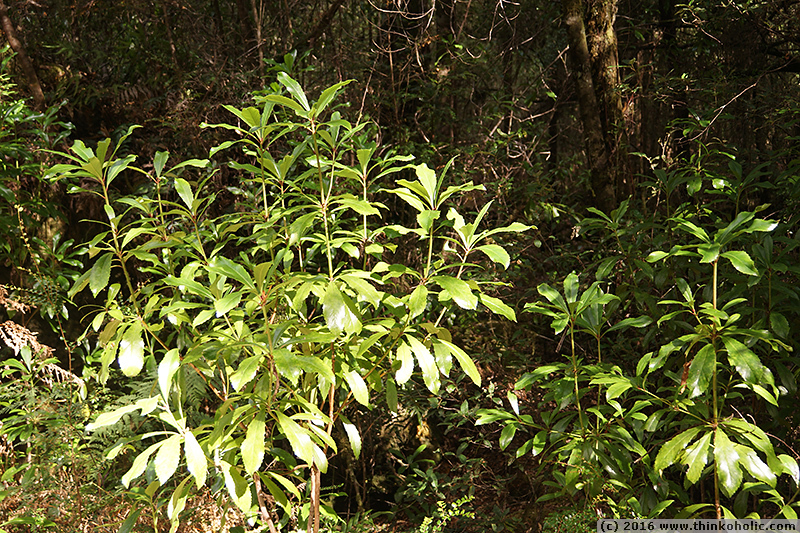 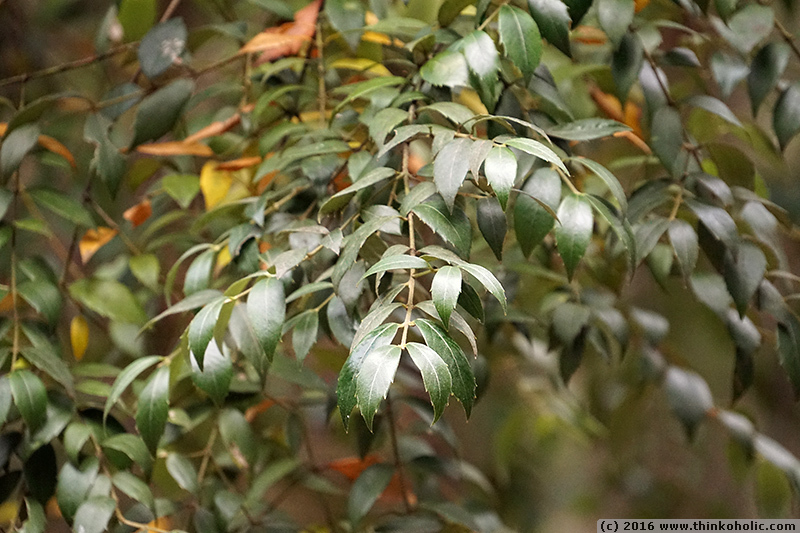 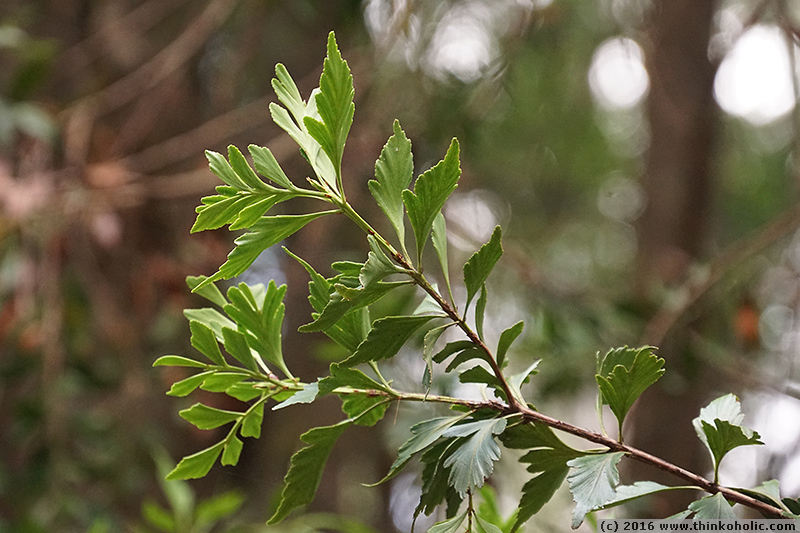 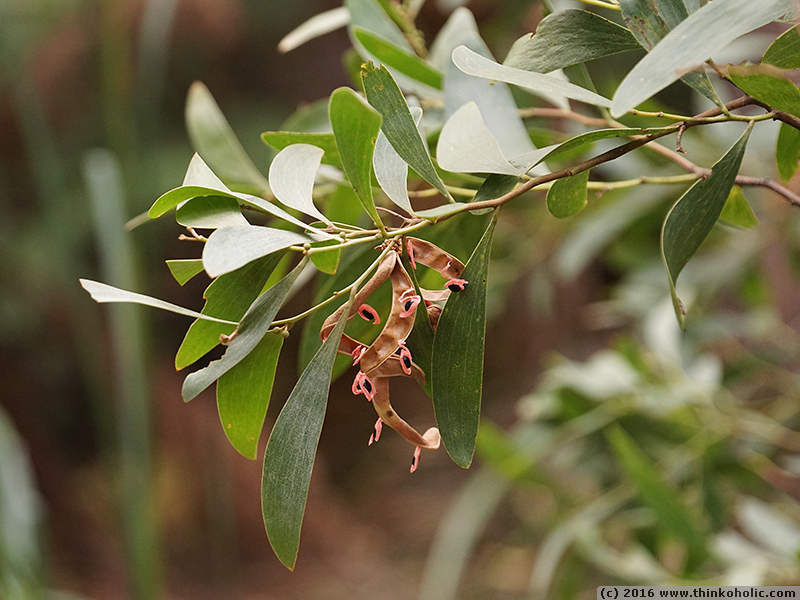 tasmanian native laurel (anopterus glandulosus) is an understory shrub and only occurs in south and southwestern tasmania. 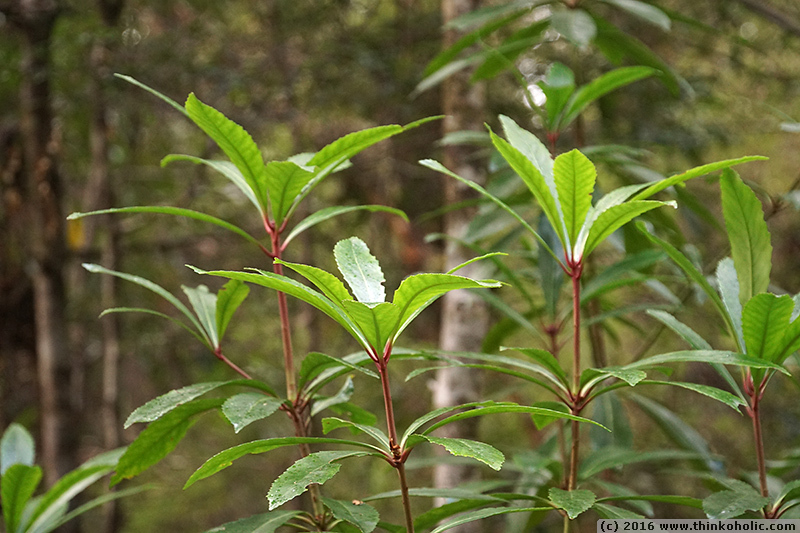 it is one of two species of anopterus, which is part of the gondwanan escalloniaceae family. 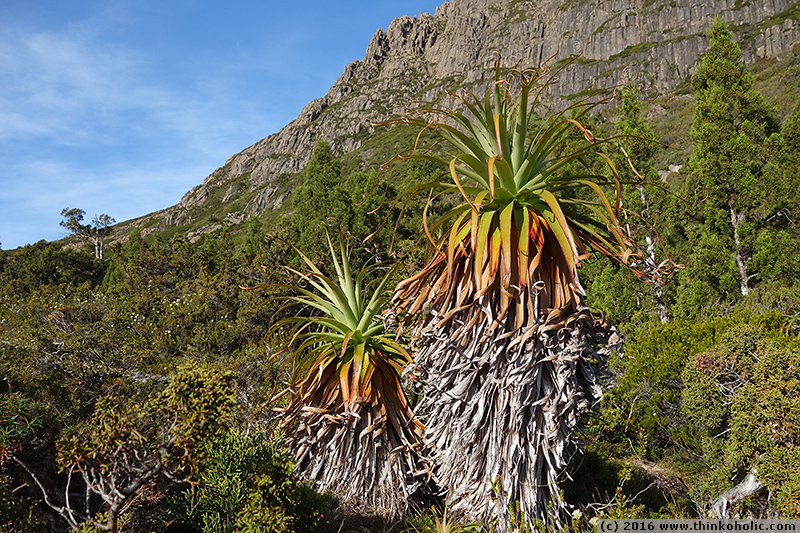 pandani (richea pandanifolia), also known as the giant grass tree, is endemic to central, western and south west tasmania and occurs in alpine regions as well as temperate rainforests. 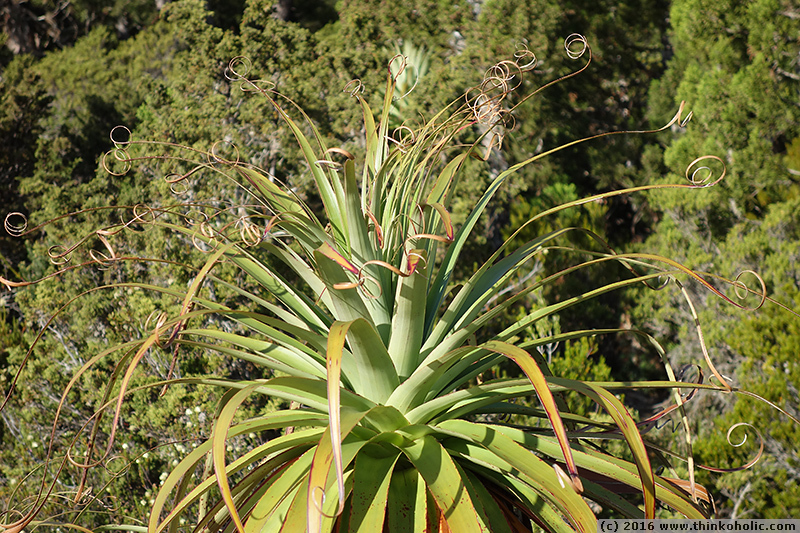 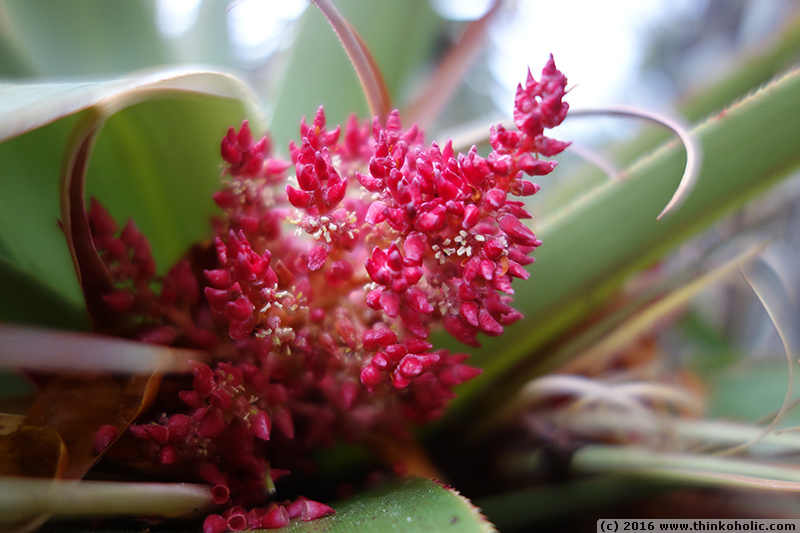 the genus richea is again of gondwanan origin. 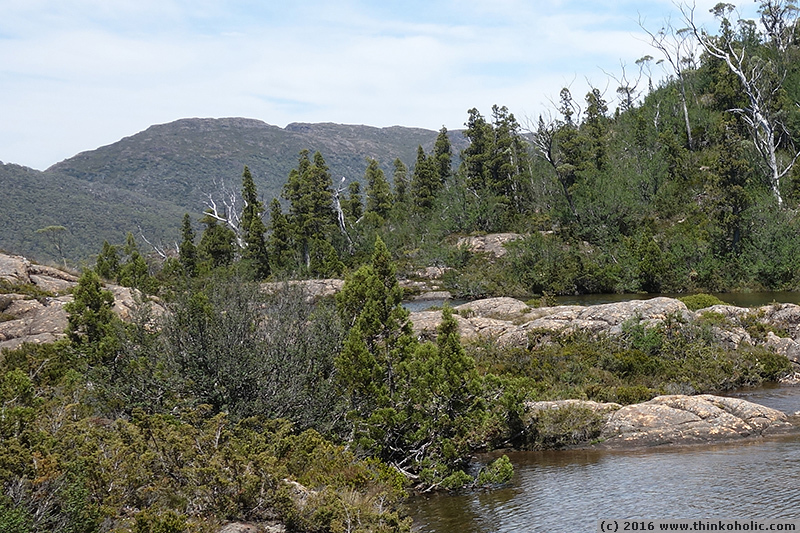 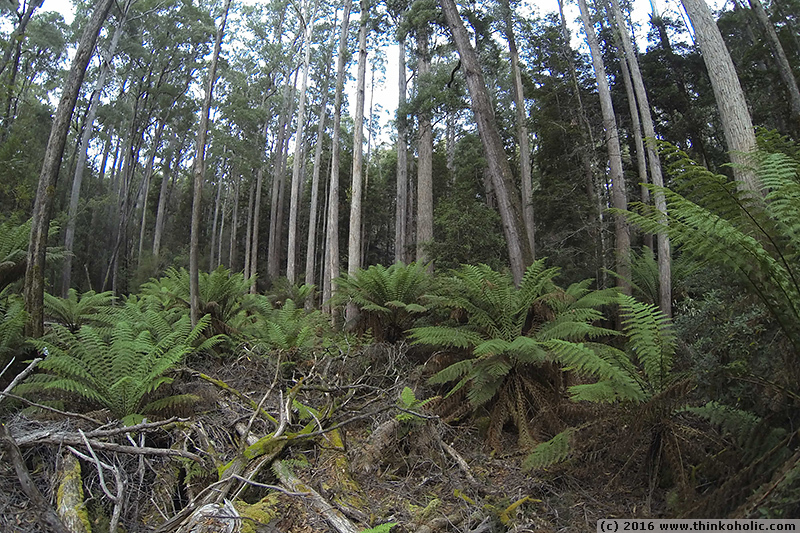 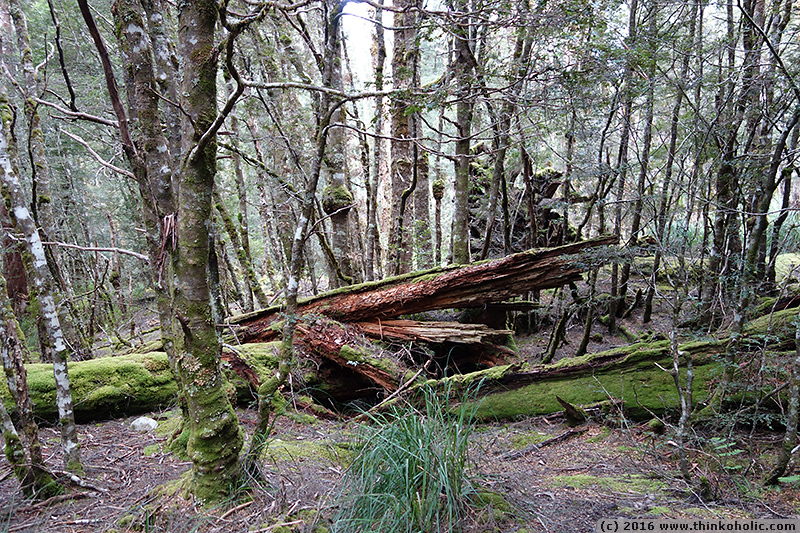 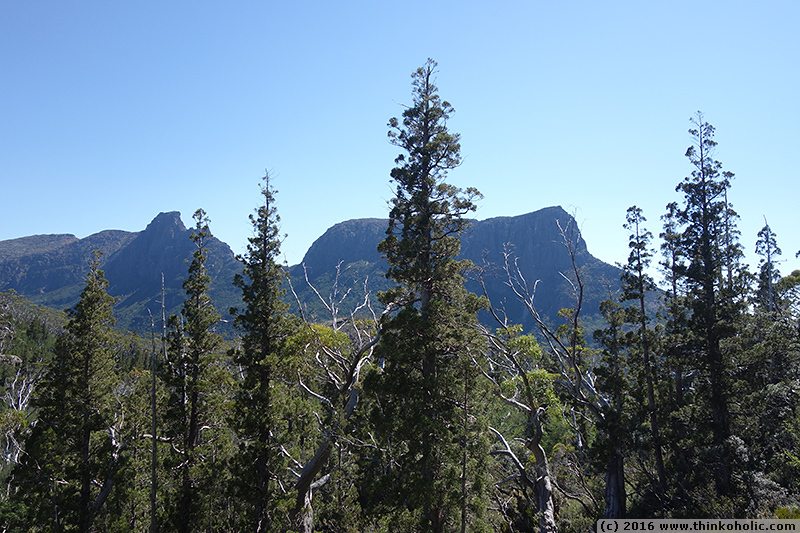 pictures were taken along the overland track (cradle mountain – lake saint clair national park) and in the tahune state forest just beyond the tasmanian wilderness world heritage area.